We are Manufacturer & Exporters of Carbon API 5L X46 Seamless Pipe, API 5L X46 LSAW Pipe, Carbon API 5L X46 PSL1 ERW Pipe, Carbon Steel API 5L PSL2 Welded Pipe Supplier in India. We at Neon Alloys are manufacturer & exporter of a wide range of Carbon API 5L X46 PSL 1 Line Pipes and API 5L X46 PSL 2 Carbon Steel Line Pipes in Mumbai, India, This Carbon API 5L X46 PSL 1/2 is being designed as per the national and international standard quality standards. 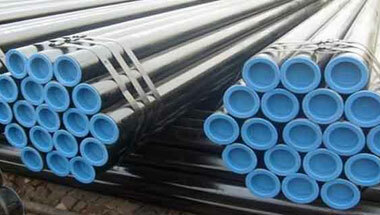 Specifications for API 5L X46 Seamless Steel Line Pipes India adhere to the International Organization for Standardization ISO 3183, which standardizes pipeline transportation systems within the materials, equipment and offshore structures for petroleum, petrochemical, and natural gas industries. Our Carbon Steel API 5L X 46 PSL 1/ PSL 2 Line Pipes is available in different sizes, specification & thickness as per the clients’ customized requirements. API 5L X46 Line Pipe, API 5L X46 Seamless Pipe, Carbon API 5L X46 PSL1 Welded Pipe, API 5L X46 ERW Line Pipe, API 5L X46 PSL 2 LSAW Line Pipe Manufacturer in India. Jordan, Morocco, Malaysia, Houston, Iraq, Thailand (Bangkok), Mexico, Iran, Peru, Azerbaijan, Sri Lanka, UK, Turkey, Canada, Egypt, Algeria, UAE, New Zealand, Australia, Kazakhstan, Uganda, Angola, Nigeria, South Africa, Germany, Israel, Venezuela, Africa, Cameroon, Colombia, Bahrain, Dubai, Chine, Indonesia, Argentina, Brazil, Trinidad and Tobago, London, Tunisia, Ethiopa, Kuwait, Mozambique, Italy, Saudi Arabia, Vietnam, Democratic Republic of the Congo, United States, Sudan, Russia, Ghana. Kampala, Algiers, Benin, Kinshasa, Lubumbashi, Abu Dhabi, Bulawayo, Dakar, Luanda, Yaoundé, Colombo, Antananarivo, Port Harcourt, Cairo, Addis Ababa, Mecca, Mbuji-Mayi, Omdurman, Durban, Muscat, Cairo, Tripoli, Amman, Subra al-Haymah, Ibadan, Rabat, Singapore, Casablanca, Dar es Salaam, Doha, Riyadh, Freetown, Beirut, Kano, Abidjan, Douala, Giza, Lusaka, Zaria, New York, Data from the UN, Kaduna, Tehran, Maiduguri, Byblos, Dubai, Soweto, Dammam, Pretoria, Aqaba, Johannesburg, Alexandria, Conakry, Tel Aviv, Sharm el-Sheikh, Jeddah, Bethlehem, Fez, Nairobi, Mogadishu, Cape Town, Port Elizabeth, Kolwezi, Maputo, Manama, Khartoum, Hong Kong, Jerusalem, Harare, Brazzaville, Istanbul, Bamako, Lagos, Ouagadougou, Accra.